Since the release of Metal Gear Solid V: The Phantom Pain, I’ve spent a lot of time with it. I think I’m closer to 50 hours or so now. And I’m still not at the end, all the side-ops in the game has really taken my time. It’s easy to get lost there and just roam around and collect and Fulton stuff. So that must means I really dig the game, right? Well not necessarily. I’m not sure what I think of the game right now to be honest. I’ve had some enjoyable moments in the game, but I wish there was more story, more cutscenes. You know like a regular Metal Gear Solid game and I would have loved to have some iconic bosses. Seemed like those died together with Metal Gear Solid 3, a damn shame! Sure the game is good, just not as good as I hoped so far. I’m not a fan of the mission style, it works but I don’t like it for the story mode, I guess that’s why I never got into Peace Walker either. I’ll see what I think about the game, when I have finished it. That’s when my final verdict for a game is formed. If the ending is totally crap it can ruin a game for me, then it becomes more along the lines of “What am I fighting for!?“. The ending is my reward, it has to feel fulfilling, sure if the game has been fun and is good I won’t dis it just because of the ending. I’ll write more about MGSV later, both what I liked and what I hated and I’ll try to make it spoiler free. In other news it has been a slow month, but that’s okay. Looking forward to next month with three games I’m very excited for. Transformers: Devastation, Dragon Quest Heroes and of course Tales of Zestiria. Fun times are ahead for me at least. 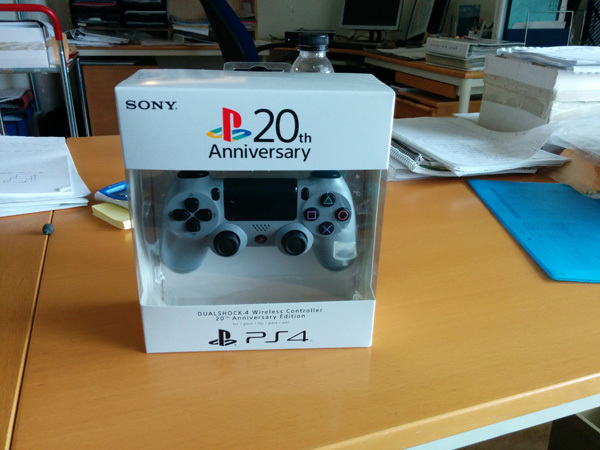 And today I picked up my 20th anniversary controller, I just love this thing to death. 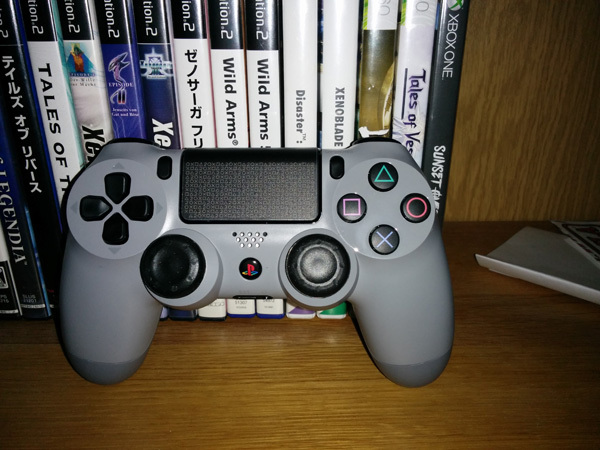 So much nostalgia for me, just because of the PlayStation grey color. Now Nintendo should release a Pro controller that is NES or SNES inspired. I would have to get them, because of reasons. I must clairyfy that the touchpad does not look like this when you buy it! I bought an sticker to go over the touchpad to protect it from fingerprints and I wanted to have the 20th anniversary logos on there. Just so you know and I put caps on my sticks to protect them too, I don’t want to risk the sticks falling apart. Håller helt med om MGS5 fast har bara spelat 10-15 timmar. Tror jag ligger på uppdrag 13 och nu börjar det kännas segt att starta upp det.